Home » 1 REVIEW , actificial , APPLE , SAMSUNG » Hi guys, it is time to back on the track with Etisalat BB10 plans (Bblite), Etisalat BB10 Plan is still blazing very well on Android via the latest Tweakware VPN. Hi guys, it is time to back on the track with Etisalat BB10 plans (Bblite), Etisalat BB10 Plan is still blazing very well on Android via the latest Tweakware VPN. 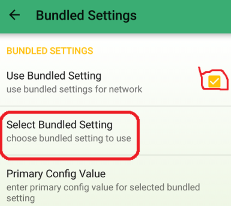 Hi guys, it is time to back on the track with Etisalat BB10 plans (Bblite), Etisalat BB10 Plan is still blazing very well on Android via the latest Tweakware VPN. Now, you are free to download the way you like and streaming without fearing of exhausting the data plan. 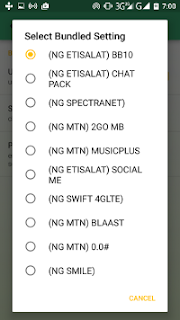 You guys should note that the new Airtel night plan of 500MB for N25 is not responding well, only the 1.5GB for N50 is working very well for now with better speed, if you need to subscribe to Airtel Night plan, I advise you to stay with the plan of 1.5GB for N50 pending till the issues will be resolved. Back to the main business. 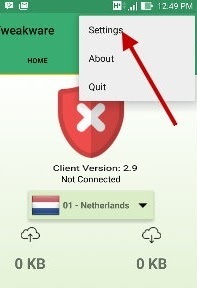 » Go back to your Tweakware vpn and hit the connect button. Start surfing and enjoy your usual unlimited downloading! Note that the tweakware vpn free servers have daily limit of 200MB, you need to upgrade to the premium version before you can enjoying unlimited surfing via Tweakware.